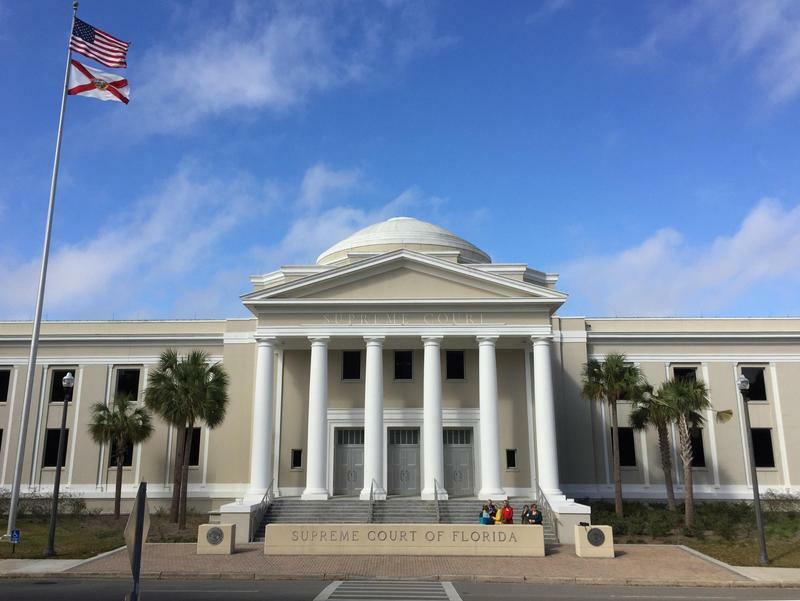 The League of Women Voters of Florida and Common Cause are asking the Supreme Court to order a nominating commission to extend the application deadline and halt a current nomination process in light of a court order issued this month. 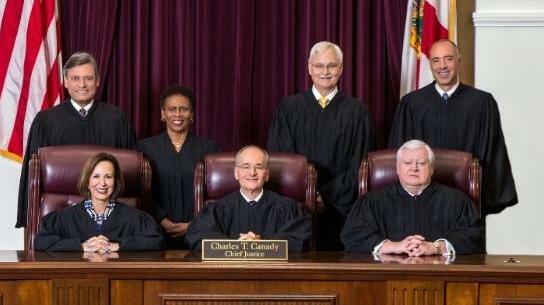 The Supreme Court unanimously ruled on Oct. 15 that the winner of the Nov. 6 governor’s election —between Republican Ron DeSantis and Democrat Andrew Gillum — has the “sole authority” to appoint the replacements for justices Barbara Pariente, R. Fred Lewis and Peggy Quince, who are leaving the court in early January because they have reached a mandatory retirement age. In a filing on Friday, the League of Women Voters and Common Cause asked the state’s highest court to order the Supreme Court Judicial Nominating Commission to reopen the application process and extend the deadline to at least Jan. 8, which is when the new governor will take office. The emergency petition also asks the court to prohibit the nominating commission from taking any other action on the court vacancies and is asking the court to prohibit Gov. Rick Scott from “taking any further action related to the commission or its membership,” other than preserving public records. The nominating commission, whose nine members were all appointed by Scott, set an Oct. 8 deadline for applications for the three court vacancies. That resulted in 59 applications being filed by judges and lawyers seeking appointment to the court. The commission has announced it will interview the applicants over a period of four days, Saturday and Sunday in Miami, and Nov. 8 and Nov. 9 in Tampa. It would then advance a certified list of potential justices to the new governor for consideration. When that list can be certified by the nominating commission is the subject of a Nov. 8 hearing at the Florida Supreme Court. The petition said the applicant pool is likely to expand if the deadline is extended until January, noting only 11 women, six African-Americans and six Hispanic applicants are in the current pool. “The current applicant pool is woefully thin on female and black applicants, right at the time that the only female and-or black justices are leaving the court,” the petition said. The petition also raises questions about Scott’s continued role in the process, despite the Oct. 15 ruling that said he has no authority to make the appointments. Scott set a Nov. 10 deadline for the certified list of nominees. The petition also raised the question of whether the process has become “tainted” through the actions of the nominating commission and Scott. “More broadly, the circumstances related in the statement of facts above tend to foster the risk of an increasing public perception that the commission’s proceedings are tainted with partisanship and (are) part of Gov. Scott’s plan to usurp or at least unfairly restrict the ability of the person the people elect to make these appointments based on his own preferences instead of those of Gov. Scott,” the petition said. The allegation of a “tainted” process could become important if Gillum is elected as the next governor. Some lawyers involved in the appellate process said it could provide a basis for rejecting the initial list from the nominating commission. Others argue that the new governor will have to make his choices from whatever list is advanced by the nominating commission. The appointments to the seven-member Supreme Court are being watched closely because they have the potential to tilt the judicial direction of the court for years to come. Pariente, Lewis and Quince are part of a liberal bloc, which now holds a slim 4-3 majority, that has thwarted Scott and the Republican-dominated Legislature on numerous occasions since the governor took office in 2011. A South Florida organization of prosecutors that includes Miami-Dade State Attorney Katherine Fernandez Rundle is telling the Florida Supreme Court that the latest version of the state’s controversial “Stand Your Ground” self-defense law is unconstitutional.